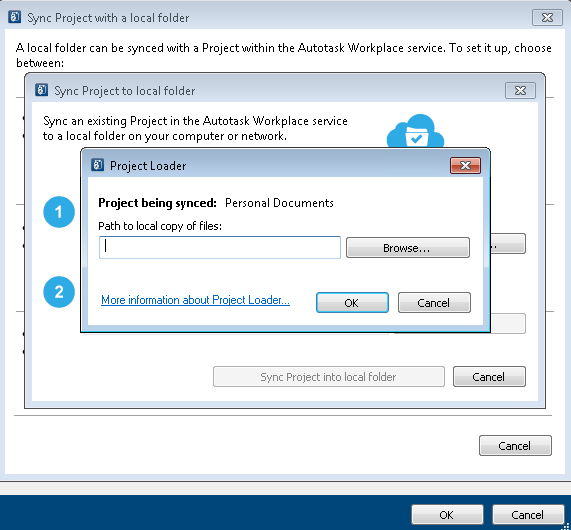 The ProjectA project is a top-level folder within Autotask Workplace. A project is the primary container for all the folders and files that are synchronized by the Workplace service. Projects create the basic organizational structure to store data and control user access. 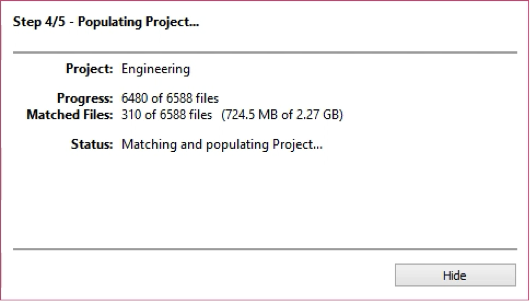 Loader allows you to pre-populate projects with local data instead of syncing a project from the cloud. By copying the files from a local source, considerable time and bandwidth can be saved. In order for projects to be visible and accessible to the Project Loader, first the project must be shared with the team member who is using the Project Loader. Refer to Manage Project, Folder, and File Team Shares. Use one of the paths noted at the beginning of this topic. 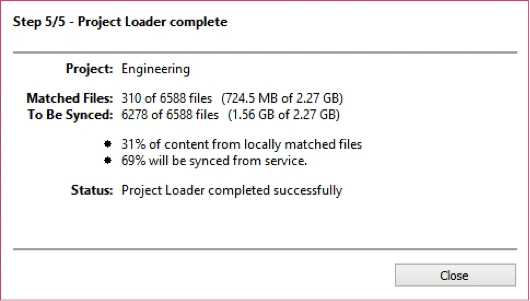 Select the Use Project Loader check box. 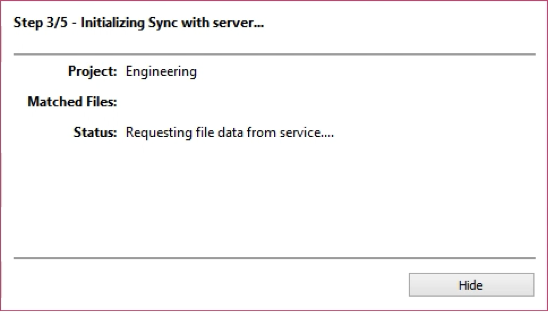 Select either Selective Sync or Full Sync. 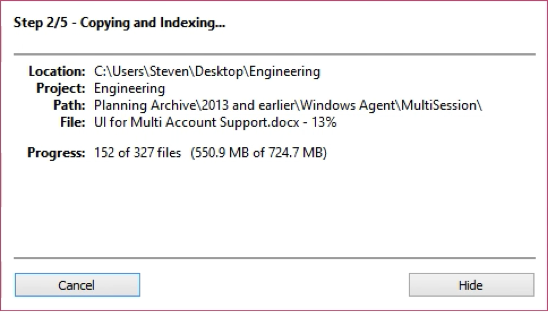 The free disk space on the machine must be greater than the size of the folder selected plus 1GB! Step 4 - The local project is populated with files that are available from the local source and where exact matches exist on the server. 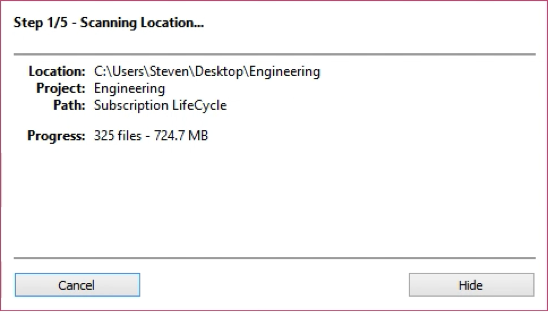 Click Close to complete the Project Loader and commence syncing the files not currently within the selected project.